We have recently installed OTP devices in each and every service users home, which you can find in the home file. 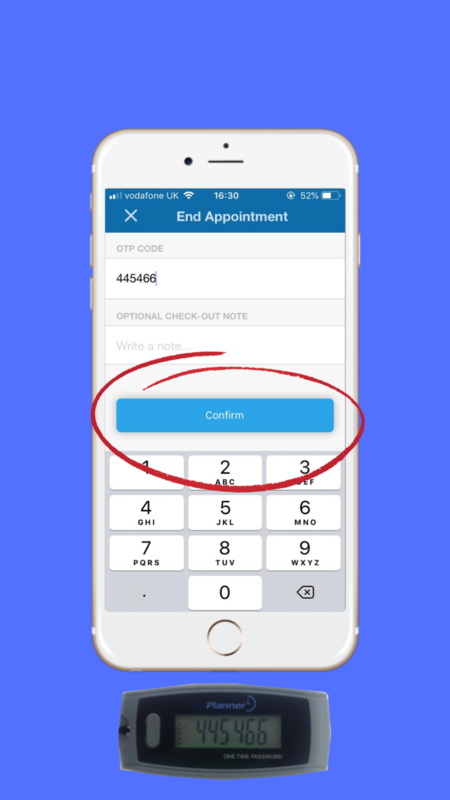 The OTP device will be used by all carers to tag in and out of calls by generating a unique 6-digit code when clocking in, notifying the office when the carer has arrived as well as a 6-digit code when clocking out to inform the office when the call has been completed. By adding this extra layer of electronic call monitoring, the office is able to receive alerts when calls are running late by 15 minutes of the scheduled call time. 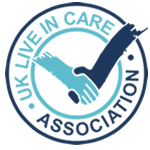 The manager monitoring calls can make arrangements to assist carers who are running late and cover any staff absences more efficiently. Step by step guide to using the tracker. 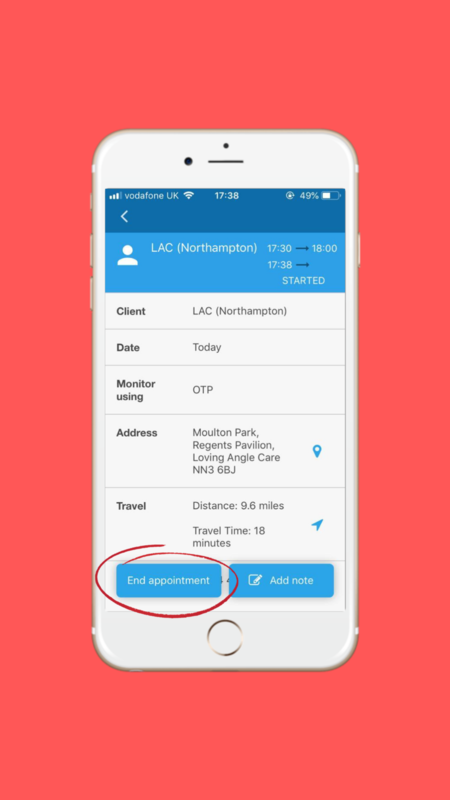 Step 1: Once you open Care Planner tap on the care call you attending in red. 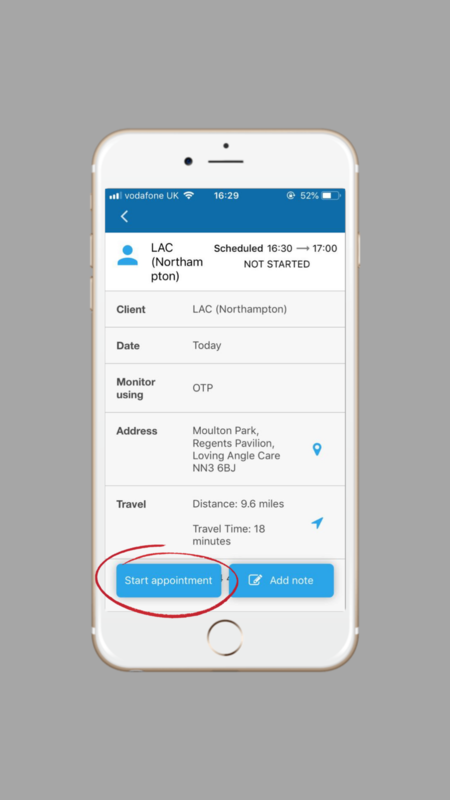 Step 2: Press ‘start appointment’ to tag into the call. 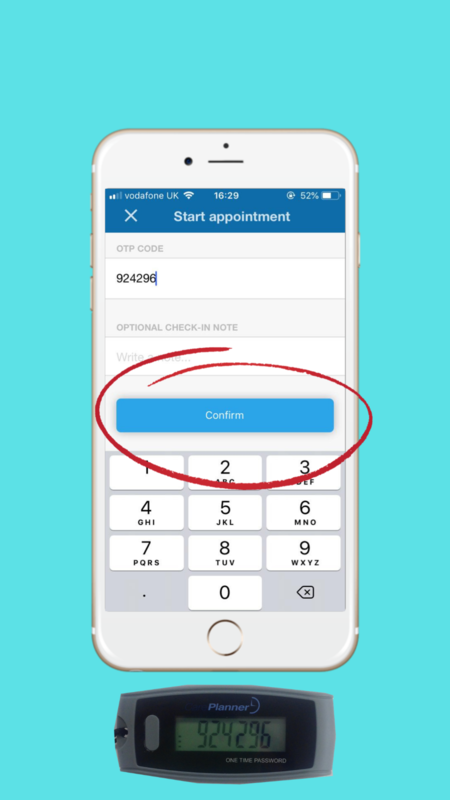 Step 3: · Press the button on the OTP device to find a 6-digit code. (The code will only stay visible for 30 seconds). Step 5: Press end appointment to start tagging out of the appointment. Step 7: · Once the code had been entered and the appointment has been ended it will turn green to confirm the appointment is complete.